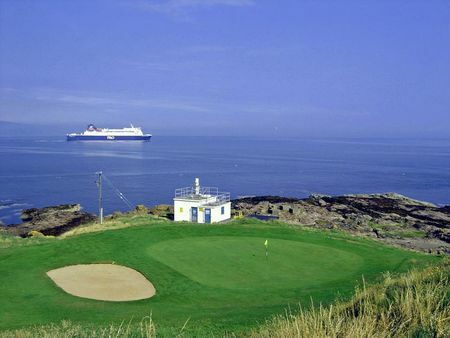 Situated on the shoreline of a rugged peninsula, The Links Portmarnock was the first golf course that International Management Group (IMG) developed in Ireland and opened for play in 1995. 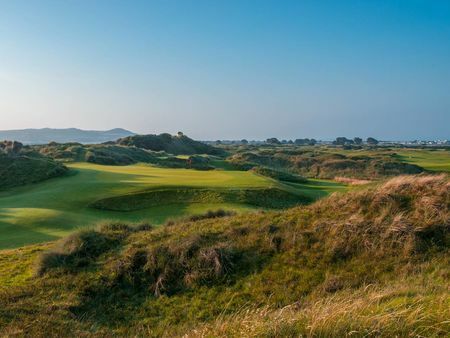 It was therefore fitting that Bernhard Langer chose this magnificent setting to design his first links course being a three time winner of the Irish Open at nearby Portmarnock Golf Club and The Royal Dublin Golf Club. 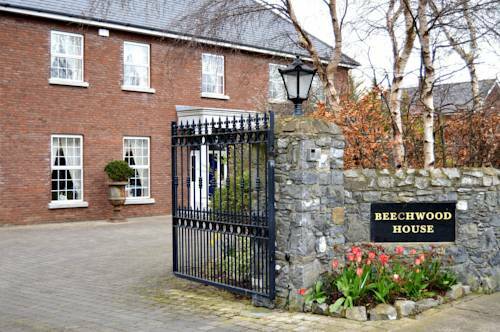 Along with architect Stan Eby they designed a course that is a challenge for all golfers, set in the grounds of the old Jameson Estate of St. Marnocks, the course has played host to professional and amateur events including 2008 and 2009 Ladies Irish Open The recent investment programme by new owners Kennedy Wilson has included, upgrading machinery, extensive upgrades of the course including the creation of a short game area, riveting of traditional links pot bunkers, grass pathways, all enhancements that make full use of the dunes and natural terrain. Probably one of the best links courses I ever played all over the world. Perfectly maintained and after a reinvestment of the new owners in new bunkers it’s a must for every interested golfer to play. 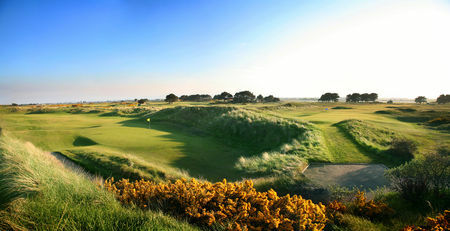 Portmarnock Links is a true links course designed by Bernhard Langer. Usually Langer wouldn't be your first choice to design a links course. But in this case he did a phenomenal job! 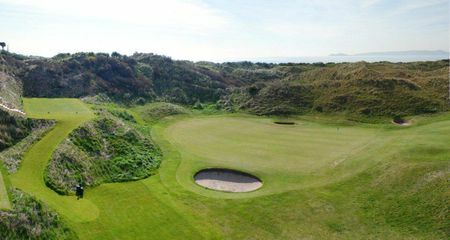 The course is right next door to the famous Portmarnock Old Course (constantly ranked in the top 100 of the world) but is blessed with taller dunes than its famous neighbour. Like at many links courses you won't find any driving range at Portmarnock	Links to warm up. You will need to hit into some nets. However, there is a revetted pot bunker in the practice area. So you better do some practice swings out of there in case you will (most likely) end up in one of these bunkers out on the course. nce you are on the 1st tee make sure that you don't slice your tee shot or your ball will be lost forever in the graveyard on the right (no joke). My favourite hole on the course is the par 3 9th hole. A beautiful hole right next to the ocean. This part of the property has the tallest dunes and is really scenic. The par 4 16th and 18th hole are also both great holes. 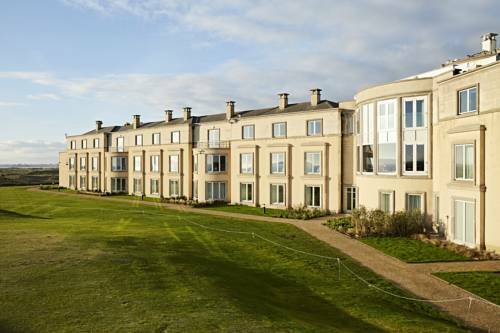 Both share a great view of Portmarnock Hotel. 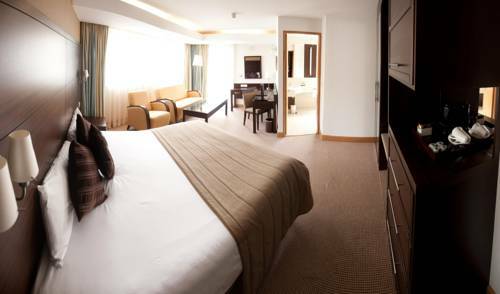 Speaking about the hotel - the building used to be the Jameson distillery. Today there's only the Jameson bar left. But it's a lovely place to have a drink after your round. 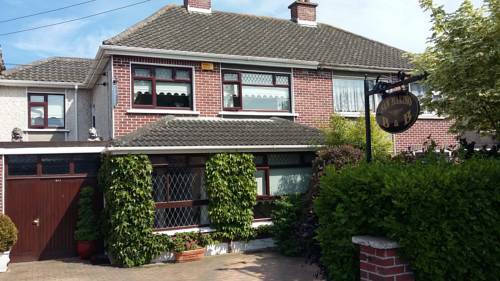 Portmarnock Links is a true gem for a very reasonable price! Wunderschöner Golf Course direkt am Meer. Ein positives Erlebnis.